According to Ethiopian Jewish tradition, the Sigd holiday occurs fifty days after Yom Kippur, and was a day to renew their covenant with God and yearn for Jerusalem. 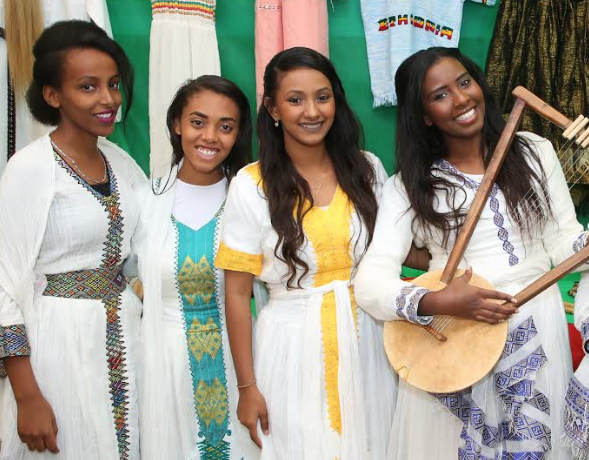 Today, after so many Ethiopians have made Aliyah, it is now a holiday that celebrates the joyful return of the Ethiopian community to ‘Yeru-salem’. In 2008, Sigd became an official Israeli holiday articulating the significance of this day not just for the Ethiopian community, but for the Jewish people at large. At Nishmat, Ethiopian students in the N.E.W. Pre-College Ma’ayan Program spend weeks preparing to bring this special celebration to Nishmat. The spicy smell of traditional Ethiopian food permeated the Rohr Dining Hall, which was covered, floor to ceiling, with tapestries that were reminiscent of Ethiopian villages. Tables were set up with different Ethiopian vessels that students and their families made and used. My favorite was an instrument called a Kra’ar which resembles a banjo. The most exciting part of the evening was the show they put on for the standing room only crowd of over three hundred guests. This performance consisted of short stories that echoed the change that has taken place in the Ethiopian community and the intergenerational tensions these changes have created. For example, one vignette told the story of a son, a current Rabbi in Israel, refusing to eat meat ritually slaughtered according to his father’s Halachic standards despite his father being a Kess (a rabbinical authority) in Ethiopia. As Rabbanit Henkin, Founder and Dean of Nishmat, put it, each and everyone one of these families that left their homes in Ethiopia has a “doctorate of faith.” We have much to learn from this community’s resilience and dedication to the State of Israel and Jewish heritage. I know that I have learned to cherish family traditions while still appreciating my current cultural surroundings. After watching these powerful pieces, there were Israeli, American, British, and Ethiopian women of all ages dancing their hearts (and shoulders) out together to Ethiopian rhythms. By the end of the night, whether we were wearing traditional Kemis dresses or not, we were all part of one community appreciating and celebrating Ethiopian culture in Israel. The Sigd was generously sponsored by the Morris and Beverly Baker Foundation.